Since 2013, a train line has been cut from 15 stations by the NSW State Liberal Government. Stations that have lost a train line: "Inner West Line" Flemington, Lidcombe, Berala, Regents Park, Sefton, Chester Hill, Leightonfield, Villawood, Carramar, Cabramatta, Warwick Farm, Liverpool. "Newcastle Line" Wickham, Civic, Newcastle. 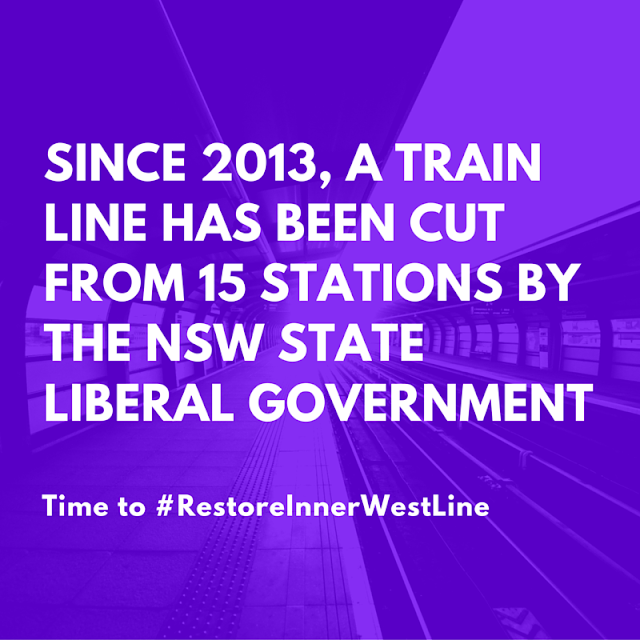 To stay in touch with Restore Inner West Line, please like us on Facebook! We're also on Twitter @SydneyCampaigns, so please follow us!